Seems like five minutes can’t go by without more speculation about the biggest company in the world. Now, however, there’s a good reason: It appears the long-anticipated Apple TV really is arriving later this year (or next). At this moment, the Apple television is technically fictional. That’s because we haven’t gotten a solid word from Apple about it. However, numerous pieces of information have suggested a late-2012 time window for the arrival of the iTV and it logically makes sense: Apple’s iPad was its last industry-shaking device and that was a whole two years ago. Slackers! But a Hong Kong research firm has just suggested we’ll have to wait until 2013, and the Apple-flavored segments of the Internet have gone crazy for the news. We’re calling this new rumor as a probable. Looking at what Apple’s up to right now it would seem like a late-2012 launch would be odd. We’re not expecting the iPhone 5 until later in the year, and the best guesses are it’ll be a humdinger with a new body format and perhaps a new screen size (five inches is the hot figure being thrown around right now). Would Apple try to cram two big product launches into the end of the year? Crazier things have happened. We think. Much discussion is going on about Foxconn’s acquistion of a 10% share in Sharp for some $808 million. 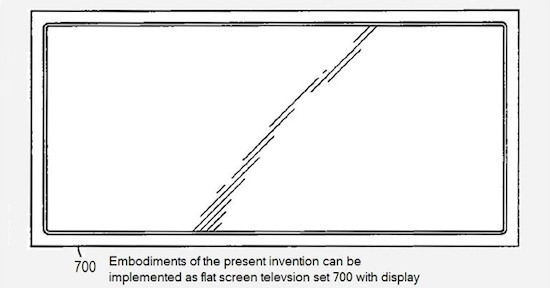 Sharp, among many other things, actually makes the major components of flat-screen TVs. Apple is Foxconn’s most well-known, and perhaps most important, customer. One plus one equals two, and that total is where folks are saying Apple’s TV is therefore in its early stages of production. To us this makes sense. We know one of Apple’s best business successes has been to invest to secure its supply chains in a way that lets it finesse both the design and manufacturing timing of its products and gain exclusive access that shuts out its competitors. Tim Cook is king of this domain, and he’s now head of Apple. So If Apple had said to Foxconn something like “secure access to a volume TV production line, and we’ll assure you billions of dollars of business” then we can guess that’s exactly what just happened. Of course Foxconn does have dozens of other customers (a fact oft overlooked when blaming Apple for its worker conditions) and the Sharp deal may be a proactive move by one of these other firms. But this one feels right: It’s an Apple move. Apple patents do not mean Apple will build a product containing the applied-for or pre-patented technology. Unquestionably. But Apple did just win a patent relating to its clever “drawer” for SIM cards, proving that among its many patents really is gold. And that’s where Apple’s newly awarded patent for a high refresh-rate HDTV, utlizing a clever technique called Fringe Field Switching gets interesting. FFS is a way of tweaking the design of an LCD pixel electrically so you can activate it more swiftly–and it’s already used for small devices. Scaling it up to larger devices has proved tricky, and that’s what Apple’s idea is all about. 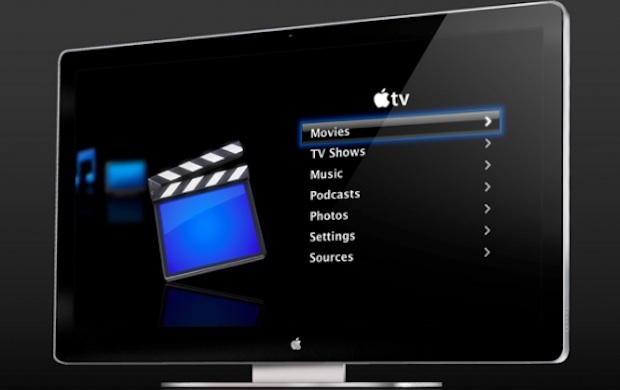 It specifically mentions applications for a TV, which means Apple is thinking in this direction. Do we believe this adds weight to an Apple TV? A little. A very little. The very fact that Tim Cook went to China to visit a Foxconn plant and meet with the Vice Premier is interesting enough–it feels like something Steve Jobs wouldn’t have done, or if he did do it it would’ve been very secretive. We can guess that among the things Tim was chatting about was worker conditions (good for Apple’s PR) and the fact it may be asking Foxconn to make not just its portable devices but also its TV systems. This is speculation, but it would represent such a significant investment in plant and people for Foxconn that a personal visit from Cook may have smoothed the deal. To set the scene for Apple’s tech, we expect the actual hardware to be not too revolutionary: Apple can’t price the TV too high-end because the public knows all about TVs now and how much they cost…and a retina-resolution TV is both unlikely and unwarranted. Instead it’s going to be all about the software, the user experience, and how the TV viewers control and interact with the TV. We’re not saying Jinni has any connection to Apple, by the way. But what we are saying is that the technology for a revolution in TV content, how it’s presented, and how users interact with it (which changes how users feel when they watch a TV) is already emerging…and this is the wave Apple’s going to try to ride. LCD TV sales are flat, and probably declining in 2012 says the most recent batch of figures. If nothing else that seems like a market poised for a revolutionary make-over, and that’s something Apple adores to do. In fact it probably won’t enter any market that it can’t do this to. If Apple does completely change how TV looks and feels, and (thanks to clever supply chain management) pulls it off for the same kind of surprisingly reasonable price the iPad arrived at, then it’s a win. And that’s why this is important. Television, like it or not, is an important part of our culture. Statistics say over 50% of U.S. households have Apple devices, and if Apple’s TV really changed things it would bump that number up significantly. It might even change the way the world watches.